Designers use a handful of simple techniques to add glamourous sparkle, drama, and class to a space. Typically associated with the decadent 1940's Hollywood scene, glamour is perfectly suited to the bathroom. Keep reading to learn these designer techniques. 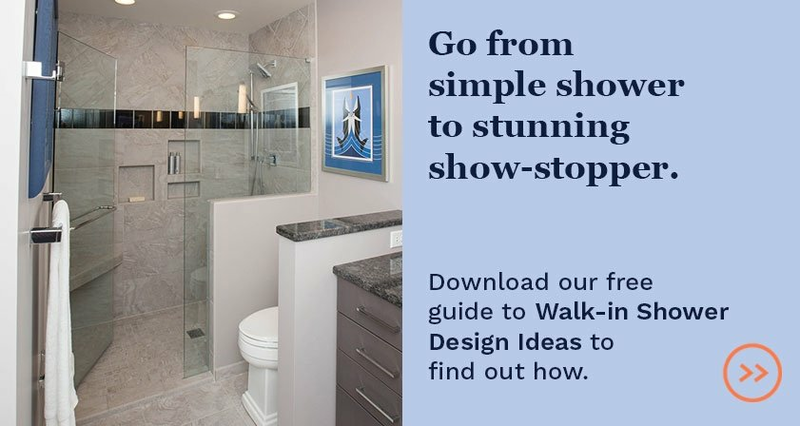 For even more inspiration, follow Neal's on Pinterest and check out our Glamour in the Bathroom board. 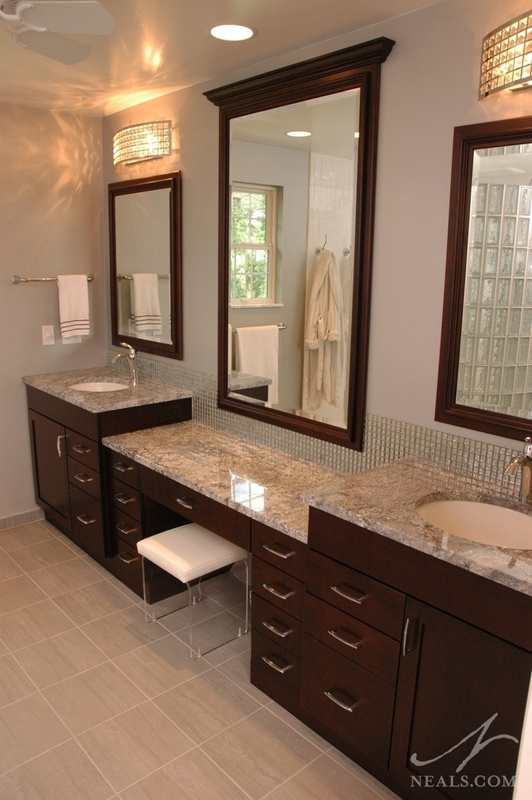 Mirrors and reflective surfaces are by far the easiest way to bring glamour into your bath. Not just any mirror, though. If your master bath's style is traditional, look for romantic or vintage-inspired mirrors, such as the oval mirrors in the Neal's master bathroom remodel above. Look for opportunities to layer reflective surfaces, especially if your space has little natural light. 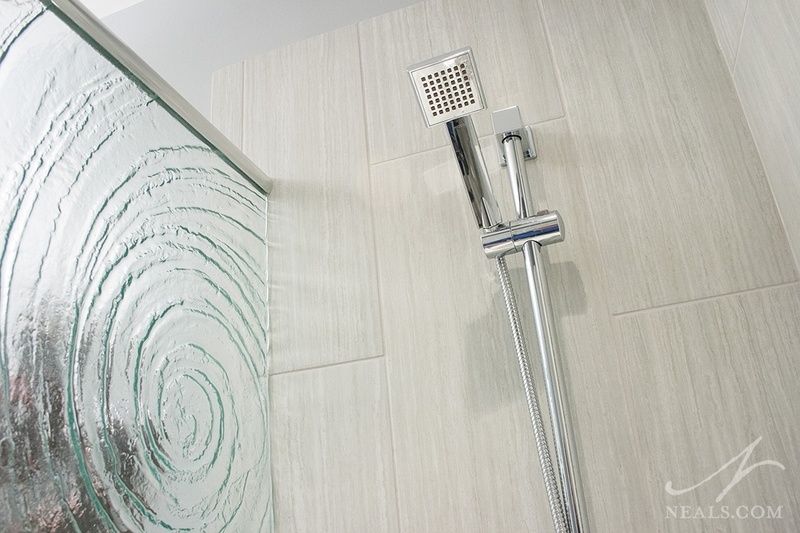 In more contemporary designs, focus on reflective selections and metalic details, such as glass or polished hardware. Include products and accessories that add glittering or sparkling detail. For example, glass mosaic tiles, or tiles with an irridencsent finish (like mother of pearl), catch light and bounce it around the bathroom. 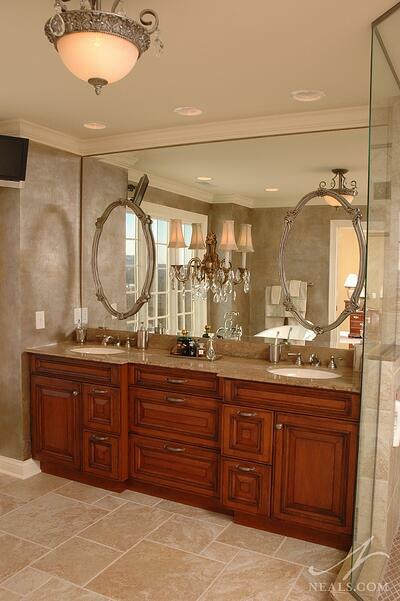 Light fixtures can also add sparkle, such as those above the vanity in the Neal's project above. This designer technique is sometimes referred to as "bling" or adding "jewerly" to the room. Materials that are reminisent of silk, pearls or diamonds- the signatures of 1940's leading ladies- are perfect for this. Crystal or lucite knobs or handles bring a vintage vibe, and play on the idea that glamour is somewhat "old school". In fact, any vintage or classic items that have a sophisticated and feminine look will be at home in a glamourous bathroom, as long as clutter is kept in check. Even in contemporary spaces, the juxtaposition of a well-placed antique can hit just the right dramatic note without making the bath feel traditional. Overall, designers look for ways to add classic drama to the bathroom through a mixture of sparkling textures and materials. Glamour is focussed on romantic lighting tricks, reflective surfaces, and the softness of feminine details. Depending on your main style preferrence, the glamour in your bath may be over the top, or subtle. The trick to a successful glamourous bathroom is to make it your own. 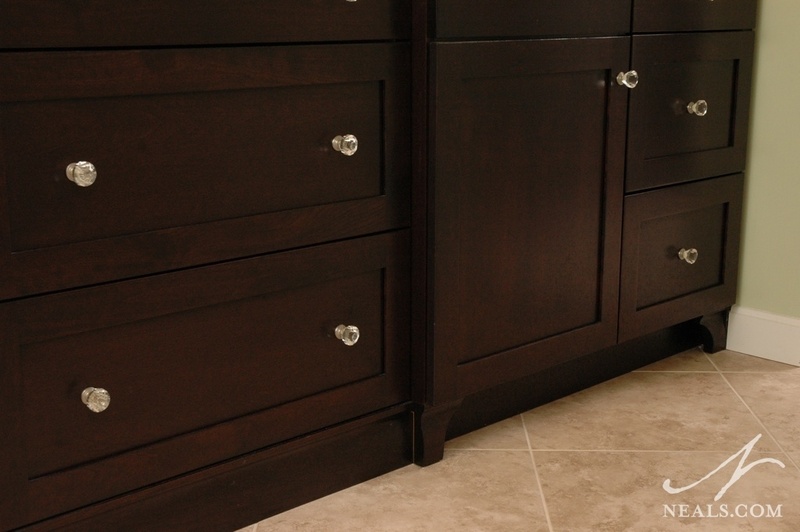 Photos by Neal's Design Remodel featuring local projects, unless otherwise specified.